We wish heating appliances weren’t part of the cause and effect relationship, not when there are high gas bills waiting to be paid, but an action is always followed by some consequence. Let’s face it, if you turn on the heating, a high gas bill is the expected effect, but it doesn’t have to be this way, not when a Daikin heating appliance is installed. It sounds a little like a poster for a low-budget horror movie, but it’s actually a description of what’s happening right now in the field of energy expenditure. We don’t want to be panic mongers, but gas bills are expected to rise by as much as thirty percent in the next five years, although this figure will vary according to where you live. Staying warm and comfortable is about to become a costly affair, which is where Daikin steps in. Based on bleeding-edge technology, this innovative brand is reversing the trend. Fuel will continue to be outsourced to many Asian nations, but, back home in Australia, your gas bill will stay manageable if you fit the right equipment. The distribution of body-warming thermal energy has always been a hit-and-miss affair, but intelligent designs are killing off this antiquated way of doing things. Modern heaters now add intelligent circuitry to their form, all while keeping their own form factor compact thanks to a split-system design. This intelligent build recruits electronic wizardry in the form of sensors, devices that can tell when a room is empty or occupied. In short, energy wastage is set to become a thing of the past because modern heaters will only activate when someone is actually in the room. Misconceptions and stubborn myths insist that a gas-powered heating unit is always going to win an affordability battle, but that case study falls apart when we add the rising cost of gas to our calculations. Plus, there’s the fact that gas is being exported to other countries. Additional gas processing plants are expected to be online in 3-to-5 years but, at least in the short term, production costs will be passed down to consumers, meaning gas bills rise yet again. A Daikin electrical heating solution is different. It streamlines traditional components and leverages split-system savings by introducing economy modes that can variably alter the performance of heating pumps and fans. All that’s left is to switch on, kick back with a cool drink, and enjoy low-power smart heating. Operating Noise Levels of Air Conditioners: What Level Should Be Comfortable for You? How Do Air Purifiers Work and Why Should You Choose Daikin brand? 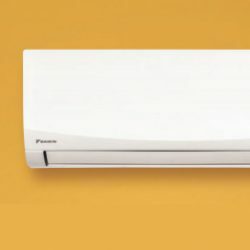 Daikin Split and Multi-Split Air Conditioning: What Makes These Products Stand Out Above the Rest? Daikin Air Conditioning Installation Solutions and Services: Only Bay Air Experts Can Give! Why Daikin and Why Should You Choose a Daikin Specialist Dealer? Reverse Cycle Electric Heating Advantages: How is This Defined in Air Conditioning Technology?